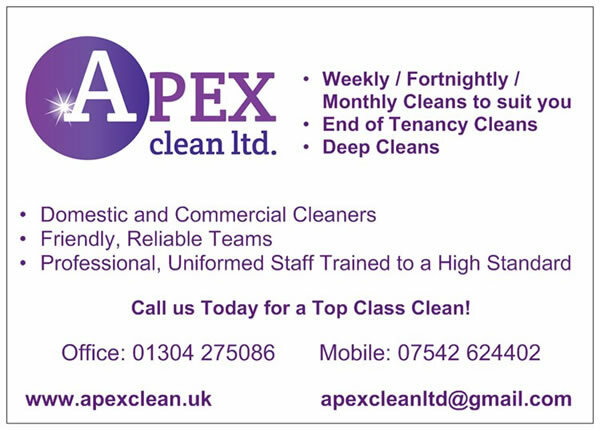 Apex Clean Ltd. Domestic & commercial cleaners. Deal based cleaning company. Domestic and commercial cleaning contractors for the Sandwich, Dover, St Margaret’s & Kingsdown areas. This entry was posted on Monday, January 1st, 2018 at 1:52 pm	and is filed under Businesses, Contractors. You can leave a response, or trackback from your own site.